Good morning and welcome to Tuesday Blog Share. 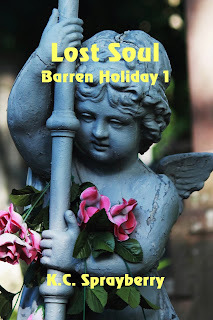 Today, our story being featured is Barren Holiday 1 Lost Soul. 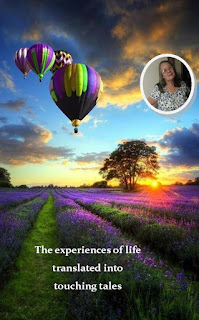 Shuffled from his dad to the mom he’s never known, Cody doesn’t know how to avoid the vicious woman’s rages. Until the day she turns on his stepbrothers and Cody does the unforgivable in order to survive. Ten year old Cody Luther walked alongside his dad. They had a very important job to do today, finding the perfect Christmas tree. Cody didn’t really understand what was going on, just that his daddy had been real sick lately. It had something to do with his service in the Marine Corps during the Korean War. Cody was still confused. They never bought their tree until Christmas, but that was fourteen days away. Surely, this tree would not look as pretty when it was time for Santa Claus to visit them. Several hours later, they dragged the tree into the house. Dad was panting and had to rest a lot. This was part of his medical problem, a part Cody hated but accepted because he had his daddy. “Will I live with Grandma and Grandpa after you go to the hospital?” Cody asked, hoping for a different answer this time. No matter how hard he tried, Cody couldn’t ever meet his mom. She never called and he’d never gotten a letter from her. Moving to obey, Cody heard a thump and turned around to see his dad lying on the floor. He ran out of the room, crying. It took a long time, but they got Dad off the floor and onto the sofa. Cody couldn’t stop crying. He didn’t want to leave the only family he knew, but his daddy was too sick to do anything anymore. Please, Lord, help my daddy feel better.